We’re talking “open” in higher ed as a preview for the UPEI library’s Open Access Week celebrations, and welcome you to join us. 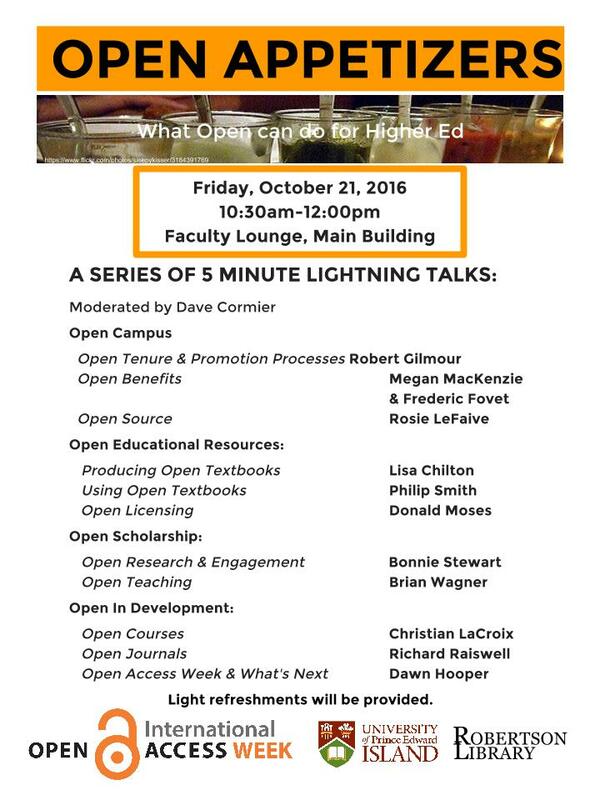 We’ll have light refreshments, a series of 5 minute Lightning Talks on various aspects of “open” currently in practice at UPEI, and time for questions and discussion. It will be a great way to get a sense of what open can do on campus, and to build potential collaborations.